This painting is based on two beaches we visited. One was a secluded 'secret' beach in Cornwall which had an atmosphere of having escaped the real world. We were there at dusk and it was beautiful, but the sunset colours were not as interesting and intense as when we visited the second beach. 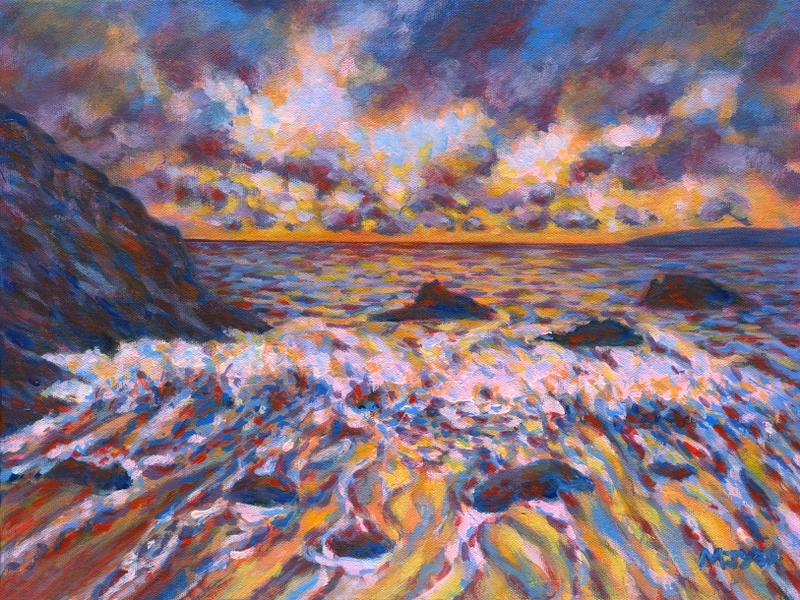 I tried to combine the colours and lighting of one beach with the physical features of the other in this painting.